The original publishing of this post contained a spelling error in the name of the film reviewer mentioned. The error has since been corrected. Consequence of Sound is an entertainment site that I follow quite closely. I read some of their posts daily, and usually find the site a reliable arbiter of tastes that mesh nicely with my own. When I saw Blake Goble’s review of 13 Hours: The Secret Soldiers of Benghazi cycle into my RSS feed, I was anticipating a carefully constructed, dispassionate dissection of Michael Bay’s latest effort. Instead, I was treated to the ramblings of a reviewer loudly disparaging a popular movie based almost solely on its challenges to his worldview and a review that only resorted to movie craft critique in the smallest of places. Blake Goble’s CoS review can be found here. It should first be said that asking a movie reviewer to render an entirely objective analysis is a bit like asking a dog not to bark. Film review, I would concede, no doubt falls under the category of opinion journalism. But for my money, “F” grades from reviewers penning subtitles like “unwatchable, unlikeable, and unworthy of respect” are reserved for media barely qualifying as film. These are sentiments to be applied to movies with no discernable elements of style, tone, or story. Goble has not so much reviewed 13 Hours for what it is as he has lambasted it for espousing themes he finds objectionable and dangerous. First, credit where credit is due: Goble’s lamenting of the shot Bay stole from himself is justified. The “top-down tracking shot of a falling bomb” actually had its place in an otherwise awful Pearl Harbor, delivering the opening volley to the anticipated violence the audience knew was inevitable. In 13 Hours its inclusion is simply a superfluous CGI indulgence. Goble was good to point out the laziness in the inconsistency of daylight in scenes supposedly telling a story in chronological order. There is also a great deal of Hollywood overdramatics present, as Michael Bay and company are wont to commit. Goble noted this, too. I’m not sure why Bay insisted on computer generated gore. Is he too good for corn syrup and red food dye? The Mexican standoff early in the film is needlessly included. It is indeed possible to create drama in a military flick without enemies pointing weapons at each other and not using them. You would think the screenwriter (an award-winning novelist behind Prince of Thieves, upon which the Affleck-helmed The Town is based) might understand this. Fortunately, it’s also possible to render a reasonably negative review without resorting to hysterics. Here’s one for comparison. This does a great job in setting the tone for the following review. More importantly, it lets me as a reader know that this reviewer has already decided that the characters he will be evaluating don’t deserve his respect, regardless of how well or how poorly the filmmakers developed them. He eventually makes some fair observations about the film’s characters and their lack of depth, but not before ensuring his readers know what they are in essence: hyper-masculine, swill-imbibing morons. That's some poor trigger discipline, John. Goble also seems rather incensed by the notion that, to the contracted CIA security personnel stationed in Benghazi, “Everyone in the country is a potential suspect.” Now I’m not a military security specialist, but I kind of assume this is how I would operate were I bounding about the streets of a Middle Eastern country that recently deposed its dictator, some of whose people are pretty openly hateful towards my countrymen, all the while hearing heavy machine gun fire popping off a mile away from me. You see, one of the unfortunate side effects of allowing one’s preconceived notions about the world to get in the way of one’s ability to evaluate a piece of film is that the empathy for the plight of the characters becomes prematurely absent. Gone before the studio logos are rolling is the ability for the reviewer to effectively suspend his or her disbelief, particularly in lightly fictionalized accounts of actual events. One no longer feels compelled to imagine how they might behave if they found themselves in one of the macho army men’s shoes. At the end of the day, then, these are the Blake Goble’s justifications for an “F” rating: This is a Michael Bay film, so this film is unwatchable; guys who carry firearms for a living are soulless, dimwitted meatheads motivated only by bloodthirst, so this film is unlikable; the film is unrealistic, so this film is unworthy of respect. Of course, Goble has a right to his opinion, and he has a job writing at a respectable entertainment site...so what do I know? I am by no means an authority on film. I did not study it at university and I have no formal training in its discipline. These are simply the writings of a hobbyist moviegoer. I am certainly guilty of holding similar prejudices to that which I’ve accused Mr. Goble. I’ve spoken with friends and colleagues many times about this proclivity. When faced with the prospect of consuming media I’ve pre-judged I must talk myself down. I must convince myself to evaluate a film, a book, an album, not for simply the latest in a long string of an artist’s patented style or tone or for its membership in a genre I find uninteresting, but for a work in and of itself to be judged independently of anyone’s record. I try to stick to this plan at least until I see the ending credits. I do not always rise to this challenge. My grievance with Mr. Goble is that it did not seem like he even tried. 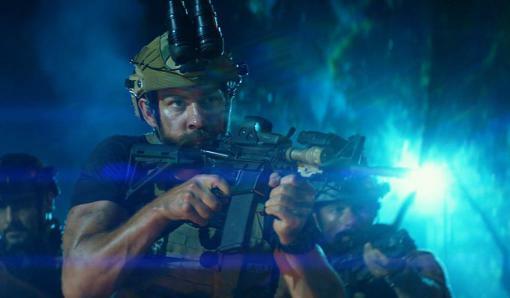 At any rate, 13 Hours is far from “unwatchable.” Americans spent $16 million this weekend seeing it. 88% of audience reviewers over at Rotten Tomatoes liked it. Perhaps those numbers are driven by the obvious controversy surrounding the film, or perhaps it was just a cool movie depicting what is pretty clearly a heroic event in modern history. Maybe it’s a self-indulgent yarn from a perpetual adolescent of a filmmaker, or maybe it’s a good little war picture alongside Black Hawk Down and Lone Survivor. Either way, it’ll never be as bad as some people want it to be. Would a President Sanders Pardon Mrs. Clinton?